Dr. Muldrow, who was born and raised in Laredo, returned to her home state of Texas after several years of living on the East Coast. She is a graduate of Baylor University, where she obtained a BS in Education-Health Science Studies. Upon graduation, she moved to New York City, where she obtained her Master of Science in Social Work from Columbia University. As a social worker, Dr. Muldrow provided psychiatric evaluation and counseling to victims of sexual and domestic violence, as well as psychiatrically ill and drug dependent persons. Always recognizing her true passion and calling was to become a physician, she went on to graduate with honors from New York College of Osteopathic Medicine. She intentionally chose an Osteopathic training, because of her fascination with its holistic philosophy and hands on approach to diagnosis and treatment. 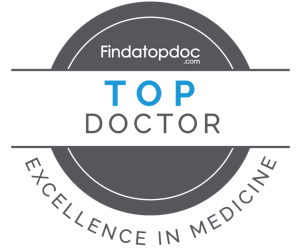 Osteopathic physicians, or DO’s, utilize all the tools and technology that are available in today’s modern medicine, plus the hands on approach, to help each patient resolve current medical issues and achieve and maintain overall wellness. Dr. Muldrow completed her OB/Gyn internship and residency at St. Barnabas Medical Center in Livingston, NJ. In combination with her social work training, Dr. Muldrow incorporates a mind, body, soul approach to her practice. She is a member of the Texas Medical Association and the Bexar County Medical Society. Dr. Muldrow has a passion for education and helping underserved communities. She has been on various medical mission trips around the world. In her spare time, she enjoys going to the gym, spending time with her friends and family, and is an avid dancer, with her favorite being ballroom and flamenco. She also loves spending time with her two dogs, one of which she is trained to handle as a certified therapy dog.